I had the pleasure of volunteering on a very special project with the Alzheimer Society of Grey-Bruce over the past couple of months! 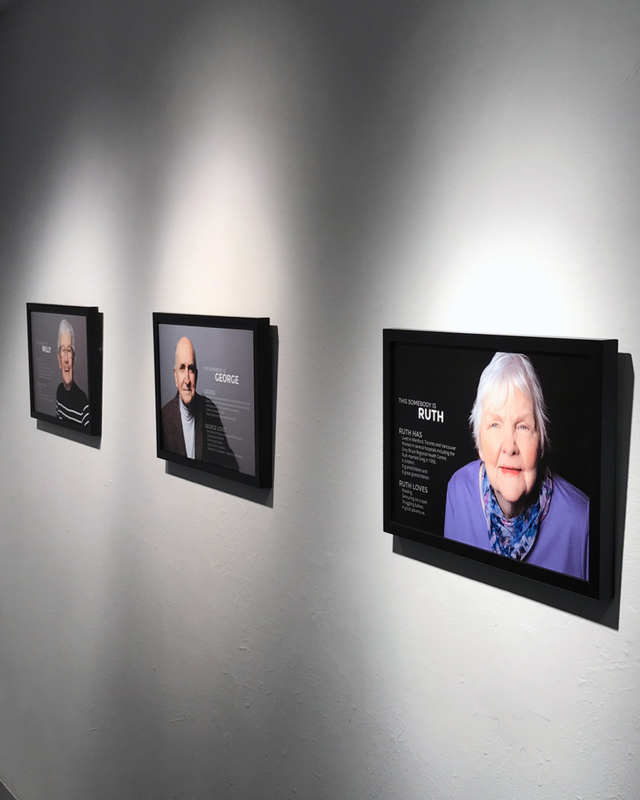 The More Than Meets the Eye project features 10 portraits of people living with dementia along with highlights from their lives. 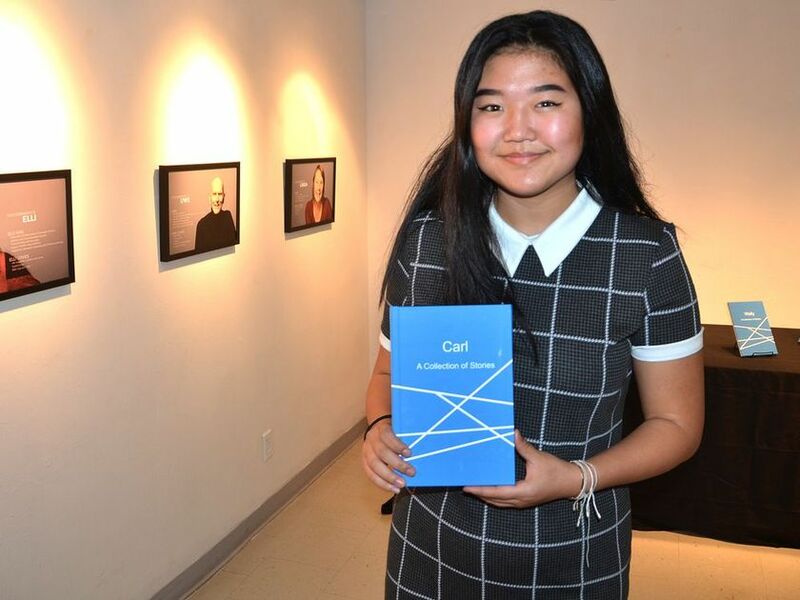 Photographing the participants and hearing their stories was eye-opening in itself. 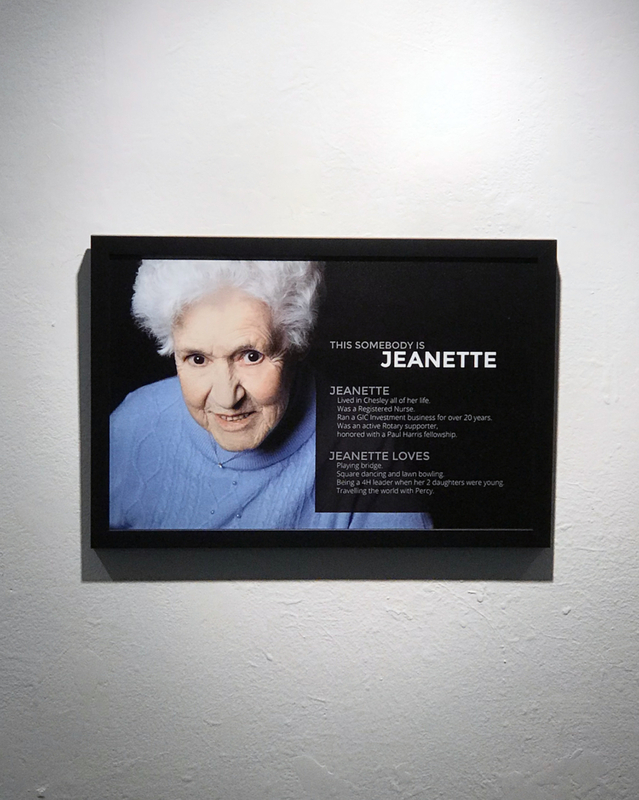 But when Jen from the Alzheimer Society explained to me the purpose of the portraits I was so impressed. These portraits will ultimately hang in the participants’ homes. The purpose is for every person who meets them, whether they are there to care for this person or just to visit, will learn very quickly that there is much more to them than meets the eye. 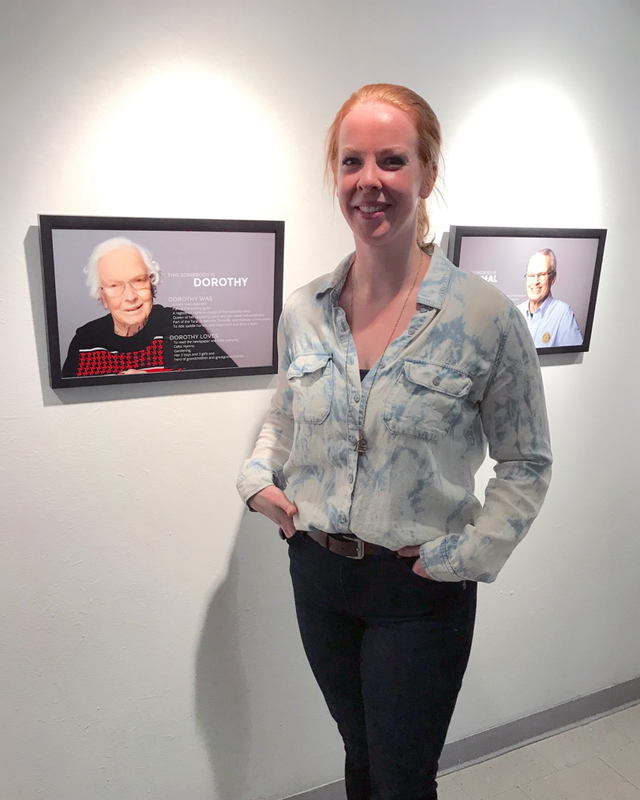 The opening for the exhibit took place this past Saturday and also featured the books which preceded these portraits as well as a very cool art project showing off how it feels day to day to live with dementia. 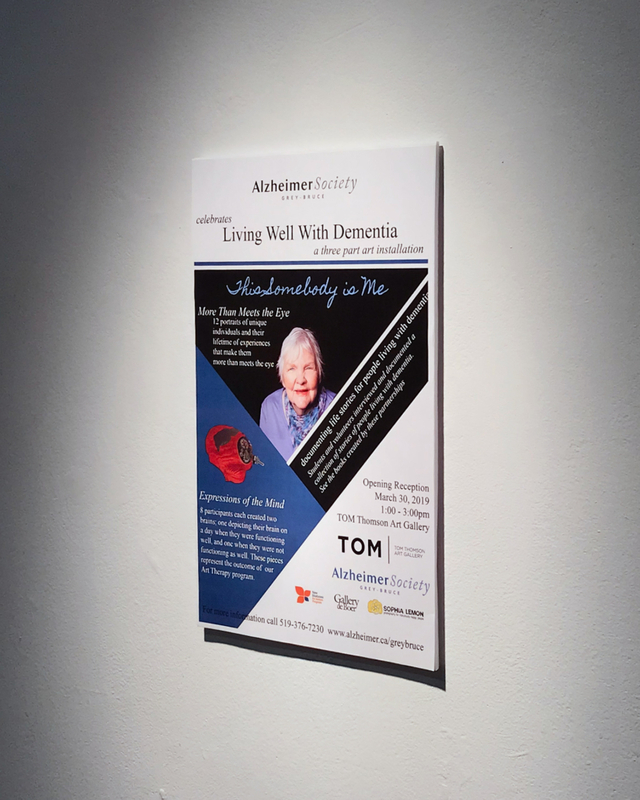 I want to say a special thank you to Jen and the Alzheimer Society for including me in this project and Rob from Gallery de Boer for printing and finishing these pieces! 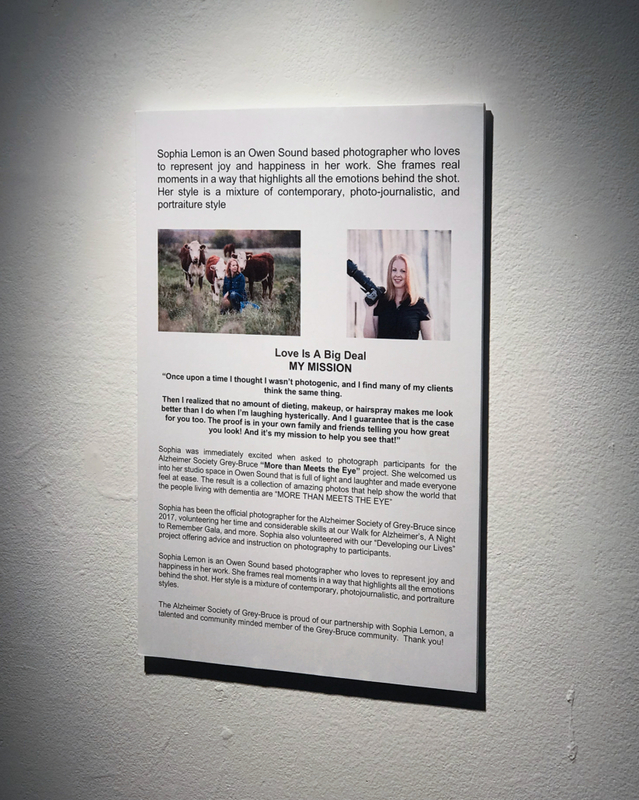 If you haven’t seen all of these pieces, it’s not too late. 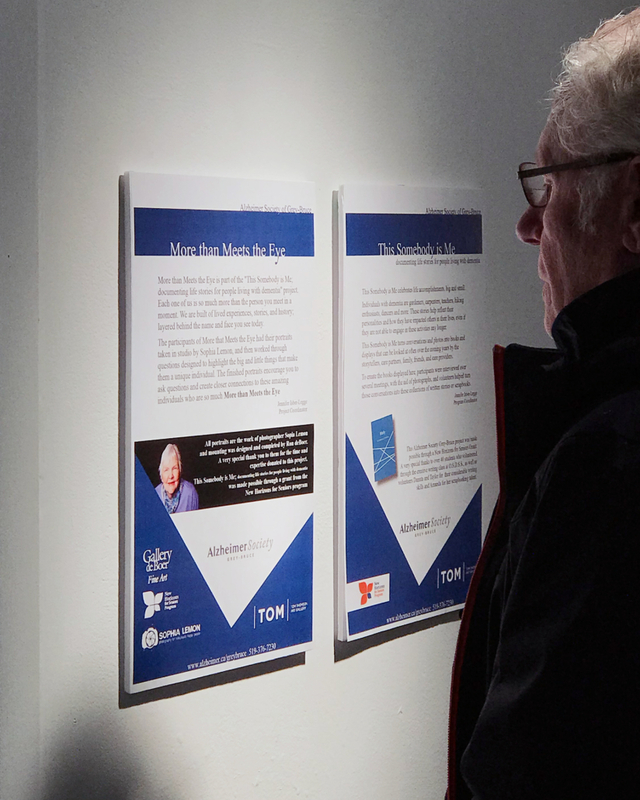 The exhibit is still on at the Tom Thompson Art Gallery in Owen Sound. Click here to read the story in the Owen Sound Sun Times.